It was in July 1900 that the British Electric Traction Company (BETC) obtained the Royal assent to the Bill which they had promoted through Parliament authorising them to lay tramroads between the towns of Wellingborough, Irchester, Rushden, Higham Ferrers, Irthlingborough and Finedon, with a branch to Stanwick and Raunds, and in the following February it was reported that a Rugby firm had secured the contract for the work. However, by July 1901, the general impression in the district was that the construction of the tramway had been abandoned. Mr Stephen Sellon, the engineer for the proposed line, wrote to Wellingborough Urban Council expressing his Company’s desire to carry out the work and they already had the money. He pointed out that it was difficult to start the work until there was an assurance that there would be an adequate return for the capital invested, and he suggested that the local authorities should do all they could to lessen the capital cost. To this end, he suggested a meeting between a committee of the Wellingborough Urban Council and the County Council to negotiate a contribution towards the cost of street widening. He concluded by saying that if reasonable arrangements could be made between the Company and the authorities that he could see his way to make a start in the construction of the line. The Wellingborough Football Club, whose playing field at the Dog and Duck would be on the tramway route, had been informed by Mr Hopwoods, district secretary for the Company, that the scheme had been handed to the engineers with a view to an early commencement. Having regard to the great expense involved by the widening of portions of Sheep Street and Market Street, the promoters subsequently suggested that the town might reasonably contribute towards the cost, and the Urban Council eventually agreed to make a contribution. The chief engineer to BETC informed the clerk to the Urban Council in March 1902 that instructions had been given for the work to proceed, and was confident that much progress would be made during the summer. In June 1902 it was reported that the promoters had requested a deviation in the route between Higham Ferrers and Irthlingborough. 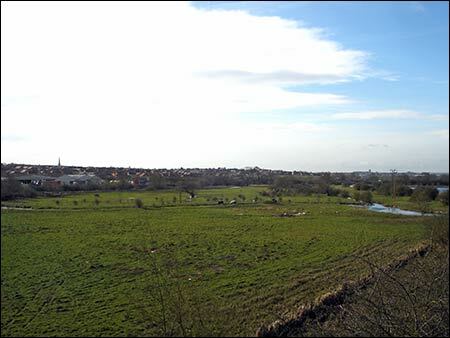 The original proposal was for the line to cross the fields between those towns instead of following the road, but the engineers had found that to take it over the meadows, which are frequently flooded, would mean the construction of a viaduct at a cost which the promoters found financially unviable. The alternative was to follow the highway, which would mean crossing the Nene bridge near the Higham Ferrers L&NW station and which was already not wide enough for the current traffic. Irthlingborough Urban Council recognised that from the public point of view it would add to the utility of the line if the road were followed, and supported the proposed alteration. This, of course, raised the question of the widening of the bridge. The promoters declared they were prepared to act liberally in the matter, but as the widening would constitute a great public improvement, they considered that the local authorities should share the expense. The Roads and Bridges Committee of the County Council, recognising the force of the claim put forward by the promoters and the opportunity to carry out a much-needed improvement, decided not to oppose the deviation provided that two-thirds of the cost of widening was borne by the Company and the remainder, estimated at £750, raised in the locality. Only Irthlingborough Urban Council showed any willingness to share in the financial burden, the members of the Higham Town Council and the Thrapston Rural Council contending that the improvement affected the district as a whole, and was therefore a matter for the County Council itself. 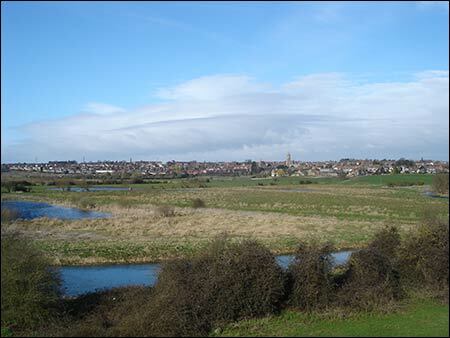 Whilst taking the same view, the Irthlingborough Council realised that the advantage would be so great that it was resolved, rather than have the project fall through, to contribute £250 of the sum required. Meanwhile, the matter had become more complicated by the appearance of a clause in the proposed Bill, which would have given BETC power to compel the local authorities to contribute to the cost. In May 1903, a Committee of the House of Commons met to consider the Bill for the deviation in the proposed route promoted by the British Electric Traction Company and opposed by the London & North-Western Railway Company. Evidence supporting the Railway Company’s opposition to a level crossing of the railway line by the tramroad was heard from the General Manager of the Lancashire and Yorkshire Railway Company who thought the granting of such power was a retrograde step as the Board of Trade and all the great Railway Companies were doing all they could to abolish level crossings. The General Manager of the Great Western Railway said that, taking the gradients of the proposed line, if a tram should run away it would attain the speed of 35 to 40 miles an hour by the time it reached the level crossing and travelling at that speed would crash through any level crossing gates. The General Manager of the L&NW Railway had very strong objections to the danger being increased at level crossings, and in the interests of public safety the only proper way of crossing the railway was by a bridge. However, the Committee found the preamble proved, subject to the requirements of the Board of Trade being met both as to safety appliances and the manner of crossing the railway. In July the Select Committee of the House of Lords met to consider the supplementary Bill. Representatives of BETC explained the reasons for the deviation, stating that the proposed alteration had the consent and approval of all the local authorities. 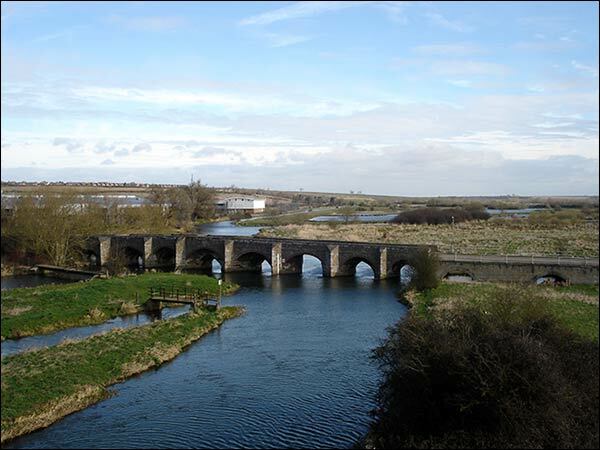 In connection with their present proposal the Company had undertaken to widen the bridge over the River Nene, which very badly needed widening, but the London and North-Western Company objected to the tramway crossing their line. Under the Act of 1900, however, the promoters were authorised to cross the L&NWR on the level at Wellingborough (London Road) Station, a far more important place. At that crossing 56 trains passed daily, 15 of which were expresses, whereas at the proposed crossing there were only 20 trains daily, none being expresses. One provision of a public Act of 1845 said that, where a railway crossed a turn‑pike road on a level adjoining a station, all trains should be made to slacken their speed and should not cross the same any faster than four miles per hour. In this case there was further safety in the fact that the level crossing was close to Higham Ferrers Station, where all the trains on the railway had to stop. Mr C.A.Markham, deputy-clerk to the Northamptonshire County Council, called in support of the Bill, said the County Council strongly favoured the proposed substitution. The widening of the bridge over the Nene, which was quite inadequate for the traffic, was a matter of very great importance. 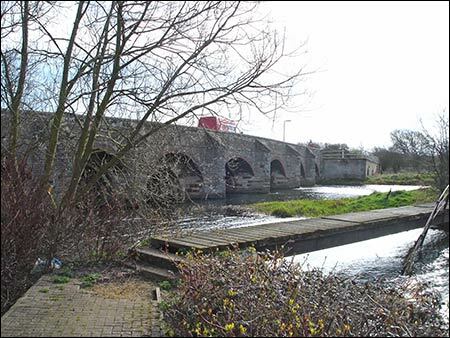 The tramway company was to contribute a sum not exceeding two‑thirds of £10,000 towards the cost of widening the bridge, and the County Council and the Irthlingborough Council the remainder. It was thought that there would be no difficulty in the tramway crossing the railway, as the gradients rose very slightly towards the crossing on both sides, and trains could be seen from the road for a considerable distance before reaching the line. was widened, but the bridge was not altered. in readiness for widening the bridge - but was never completed. The Committee cross-examined Mr Sellon, engineer to the promoters, regarding safety. With regard to the gradients, he felt there was not the slightest chance of a tramcar running away and finding its way onto the railway. No car was allowed to run without three proper braking systems and electrical reversers. The total amount required to construct these lines was £200,000. They would save about £12,000 with the proposed new line after they had allowed £6,000 for the bridge. The General Manager of the L&NWR was strongly of the opinion that the carrying of tramroads across a railway on the level was retrograde and improper. On the local crossing proposed, during a week in March there had passed 437 motors and cycles, about 1,600 other vehicles, and 115 animals. Between 5.20am and 9.40pm, on an average, 14 passenger trains and 13 goods trains and light engines used the railway. 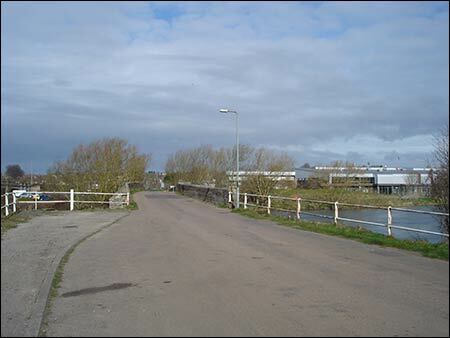 The Chairman, in giving the decision of the Committee, said they could not agree to the level crossing, but would allow the promoters to construct a bridge over the line, or they could follow the old course. The promoters reported that it was not physically possible to put a bridge there, the river being too close to be able to achieve the incline on the other side for an approach to carry a bridge over the railway. The representative for the Railway Company did not think it was impossible, but the Chairman, after looking at the plans, agreed that it would be impossible. Following the rejection of the supplementary Bill, the promoters considered a plan for abandoning that portion of the proposed route through Irthlingborough and Finedon, thereby avoiding the necessity of constructing a bridge over the railway near Higham and Irthlingborough Station. By not continuing the line to Finedon, the Company would also be saved the expense of setting back the line of property in Market Street, Wellingborough, between the top of Midland Road and Cambridge Street. The new plan proposed that the trams would start in Midland Road, Wellingborough, near the station, go up into the town, run via Market Street and Sheep Street, over the L&NW level crossing at Little Irchester. The road would then be taken towards Chester House before leaving the road and heading towards Irchester, through School Lane where, immediately opposite Station Road it would cut straight across the road and go via the bridge at Irchester Station. From there it would branch round the lower lodge at Knuston and on to the road at Manton Spinney. It would then go to the Oakley Arms, Rushden, and then by Washbrook Road to Higham Ferrers. The part relating to the centre of Rushden through to The Compasses would not be implemented. From a point near Higham station a branch would be made into Stanwick Road before continuing to Raunds on the road above the church. The trams would be worked by an overhead system with power stations along the route. The lines would be single, but at frequent stages there would be loops to allow trams to pass each other in opposite directions. Although in December 1903 the Rushden Argus reported it appeared that active steps were being taken by the promoters with a view to the purchase of land and property, nothing seems to have come of it and it was another twelve months before there were any further developments. The Rushden Echo then reported that the Wellingborough and District Tramways Company was promoting a Bill in Parliament with the intention of forming a network of tramways through a large district around Wellingborough, Kettering and Rushden. Powers would be sought to obtain land at Raunds, Wollaston, Burton Latimer, Harrowden, Bozeat and other places. The scheme, it was said, would connect Northamptonshire and Buckinghamshire, making a wide circle including Olney, Wellingborough, Earls Barton, Kettering, Rushden and Raunds. Twelve months later matters had moved on to a stage where the running of tramroads was intrinsically linked with the provision of electricity. It was therefore in February 1905 that the Company, now called the Wellingborough and District Tramroads and Electricity Supply Company, presented their amended Bill to the House of Commons, the Northamptonshire County Council having insisted upon the inclusion of certain important amendments. First and foremost they demanded better provision for an efficient public service of trams at reasonable fares, and better and special provision of trams for artisans, mechanics, and the labouring classes at cheap fares during certain hours of the day. Following five years’ delay, in order to guard against further delay the county authority insisted on making it obligatory upon the Company to commence with the work at once. The Council also claimed protection for providing for additional main road widening between Kettering and Higham Ferrers, and demanded that the Company should be subject to the whole of the provisions of the Tramways Act of 1870, including, amongst other things, the option of the various local authorities to purchase the undertaking at certain periods. With regard to the electrical portion of the Company’s scheme, the County Council demanded provisions for lower maximum prices, the prohibition of extra charges for transforming electricity, the incorporation into the Bill of certain provisions of the Electric Lighting Acts which the Company had proposed to omit, and the revision of the maximum prices by the Board of Trade at certain periods. Further, the Council asked that, if any local authority within the area of supply should at any time apply for a special Act of Parliament or a Provisional Order authorising them to supply electricity, the Company could not oppose such an application. Unless the Company agreed to meet these requirements, the Council had decided it would oppose the Bill. The amended Bill went before the Chairman of Committees in the House of Lords in March 1905. The promoters of the Bill wished to extend the time required for construction and also take new powers which would enable the Company to establish a power supply in the tramway districts. Wellingborough and Higham Ferrers had already given their consent, but Northamptonshire County Council complained that the Company were now asking for not only an extension of time but for a modification of their scheme, because they were abandoning a large number of their lines. After deliberation in private the Committee allowed the Bill to proceed, subject to the County Council consenting to the tramways. Colonel Stopford Sackville MP said he thought the County Council should assert their position and oppose the Bill. Mr George Denton, of Rushden, entered a protest against the County Council spending large sums of the ratepayers’ money in opposing a measure of that kind as it would be playing into the hands of the legal profession. Mr Denton urged the Council not to take such steps that would prevent the construction of the trams, which would considerably benefit the district. The Council, however, decided to oppose the Bill. The Bill went before a Committee of the House of Lords in May when representatives of several local authorities were also present. The promoters of the Bill said that it was proposed to abandon that portion of the original scheme between Wellingborough and Finedon on the north, and could not believe that the County Council would wish to deprive the districts between Wellingborough and Raunds of the advantage of trams. The estimated cost of the whole of the tramways sanctioned was about £100,000 and of that sum it would have cost £54,000 to complete the six miles between Higham station and Wellingborough. The opposition of the County Council was that if they could not have the Finedon part of the original scheme, they would not allow the other. They were also asking for purchase clauses, but the promoters said it would be impossible to construct at all if such clauses were given. As to the supply of electricity, the promoters intended to establish a generating station at Wellingborough from which they proposed to supply electricity to any company or local authority in the area. The area they proposed to supply was 172 square miles. The Company proposed to sell at 1¼d which would benefit small manufacturers. Unless they had a field of consumption for their energy, such as the tramways, they could not afford to provide electricity separately. The House of Lords rejected the Bill. In July 1905 the Board of Trade refused to grant a provisional order for the supply of electricity for lighting purposes in this district, and as the throwing out of the Tramways Bill had put an end to another scheme for supplying electricity, preliminary notices were received by the Rushden Urban Council for two fresh schemes. Mr E.P.Harvey, of Newcastle-on‑Tyne and Richmond, gave notice of his intention to apply to the Board of Trade in November for a provisional order giving him power to supply electricity for public and private purposes in the urban district of Rushden. A similar notification was received on behalf of the County of Northampton Electric Power and Traction Company, an offshoot of the British Electric Traction Company. The Board of Trade, in refusing to grant the former application on behalf of Mr Harvey, intimated that they would allow another application, unless the local authority took action themselves. The grounds for that intimation were that the inhabitants of the district ought not to be deprived of the opportunity of using electric light if that was their wish. After much discussion concerning the action of the County Council, Mr Swindall proposed: “That in the opinion of this Council the provision of tramways and the supply of electric power as proposed by the B.E.T. Company’s Bill would have been a great advantage to this town and the district, and the opposition of the County Council to the Company’s Bill having resulted in the Bill being lost, this authority respectfully suggests that the County Council should take steps to give the district the same advantages as regards trams and electric powers as was proposed by the Bill.” Mr Bazeley seconded the motion, which was carried, and it was decided to forward a copy to the County Council. At a meeting of the County Council in July 1905, Earl Spencer and Colonel Stopford Sackville MP defended the decision to oppose the Bill. Offers of compromise made to the Company had been rejected and, had the Bill been passed, local authorities would have been at the mercy of the Company. In December 1905, representatives of the County of Northampton Electric Power and Traction Company (CNEPTC) attended a meeting of the Rushden Urban Council to explain the terms of their application for a Provisional Order for the supply of electricity in the district. It was argued that consumers would be better served by a private company rather than by a municipality. The Company would be prepared to give the Council the option to purchase the concern at the end of a specified number of years, at a price to be agreed upon. After the representatives had retired, the Council discussed the merits and disadvantages of utilising a Company against applying for a Provisional Order themselves. It was agreed to form a committee to investigate the undertakings at Wellingborough where the Company was established and Kettering where they had their own undertaking. In January 1906 the committee recommended that the Council should refuse the Order being applied for by the CNEPTC and continue their enquiries with a view to promoting an Order by the Council. The Urban Council received a letter from the Company in February emphasising the benefits of allowing their application to the Board of Trade. Higham Ferrers Town Council and the Wellingborough Rural District Council had already given their consent, and by including Rushden and neighbouring districts electric power could be obtained at a low figure thereby opening the opportunity for London industries to find a new home and thus increase the prosperity of the town and add to the welfare of the community in general. The Council agreed to adhere to their original decision to oppose the Company with the view to proceeding themselves with a scheme for electricity. The Board of Trade wrote to the Urban Council in March 1906 advising that they had received an application from the CNEPTC requesting that the Board dispense with Rushden Council’s consent to their application as the Council had not applied for authority to supply electricity themselves. The Board of Trade called a meeting of the interested parties for April. The representatives of the Company brought out every available argument as to why the Order should be granted without the Rushden Council’s consent. The Mayor of Higham strongly supported the Company, stating that he believed it would be a great acquisition to the Borough to have the electric current for lighting and power purposes, but that they would be unable to get it without coming through Rushden. The Urban Council promised that, if arrangements could be made whereby Higham could get the electric supply, no opposition would be offered to the laying of mains through Rushden. The promoters of the scheme, however, seemed to be much more in favour of supplying both towns than of taking advantage of this offer. It was suggested by the Board of Trade that it would be better for Rushden to come to terms with the Company and mutually agree to go in with Higham Ferrers, so as not to deprive Higham of having an electric supply. The Board would give the matter close consideration and report in due course. Rushden Urban District Council were unable to reach a satisfactory decision and the County of Northampton Electric Power and Traction Company finally lost interest and withdrew their plans to provide electric trams for this area.